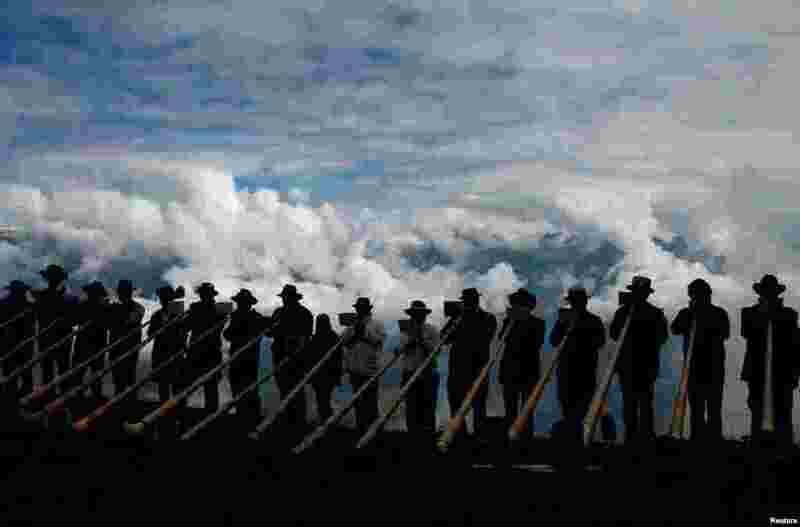 1 Alphorn blowers perform an ensemble piece on the last day of the Alphorn International Festival on the alp of Tracouet in Nendaz, southern Switzerland. 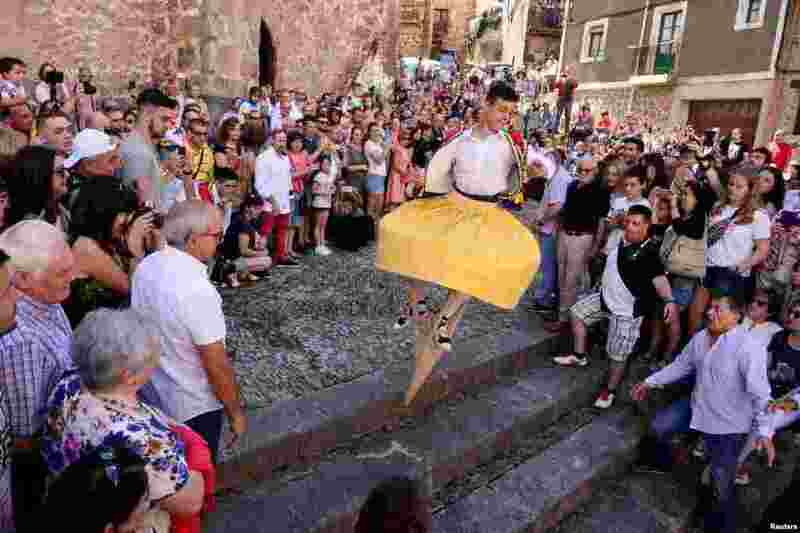 2 A dancer performs the whirling Dance of the Zancos on Saint Mary Magdalene's feast day in Anguiano, Spain. 3 Athletes compete during the Diamond League women's 100m hurdles final at the London Stadium. 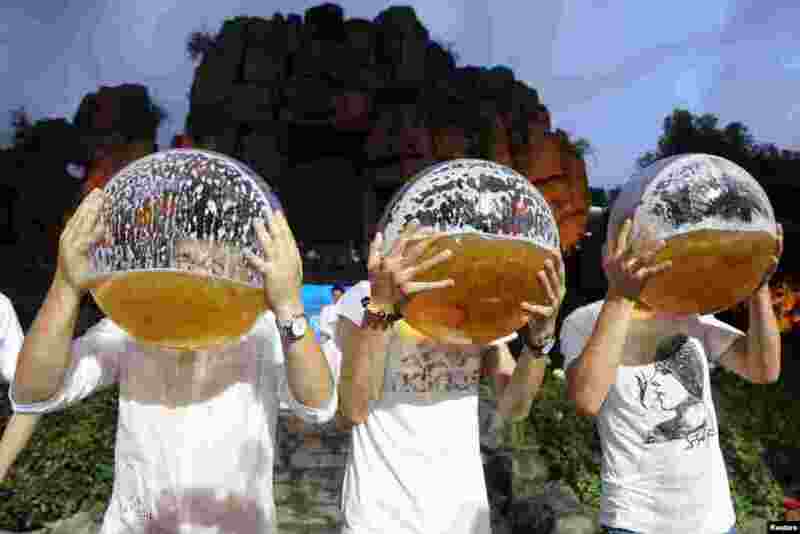 4 People drink beer from fish bowls at a beer drinking competition in Hangzhou, Zhejiang province, China, July 21,2018.